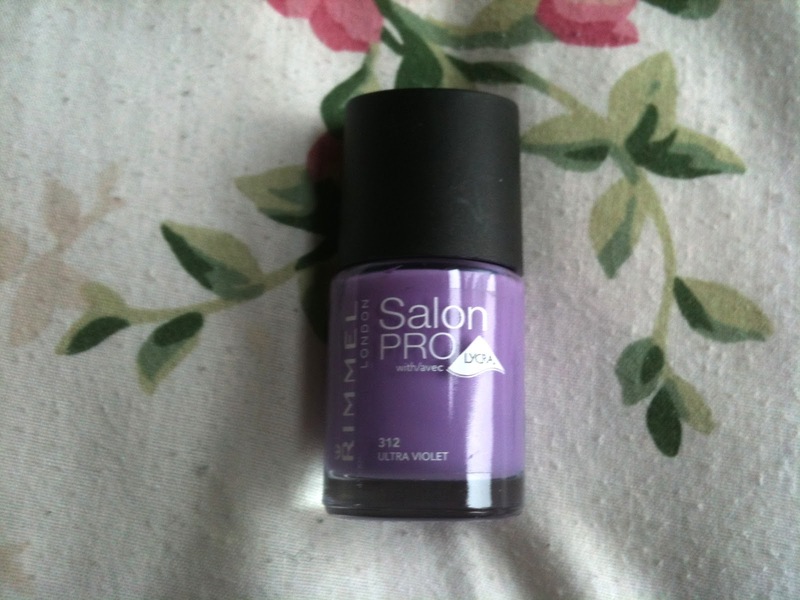 A few months ago, I purchased my first Rimmel Salon Pro nail varnish and I fell in love with it. Out shopping recently, I decided to take up Superdrugs 2 for 3 offer and picked up three more nail varnishes to try. One of which being shade '312' in Ultra Violet. The first thing I wanted to pick up on is the colour. When I purchased this, I thought the colour was going to be different then it actually was. I expected more of a pastel lilac as I love wearing pastel colours on my nails, but that wasn't the case, it was more of a light purple. I still really like the shade, but it was not what I expected. The nail varnish claims to be 'long lasting, up to ten days, gel nail finish. Chip resident and anti-fade'. The one thing I love about this nail varnish is its longevity, compared to other varnishes I own it does last a long time without signs of chipping. I find the nail varnish is really good quality, which is what led me to buy another three! The only aspect of this I am unsure of is the gel finish, The picture above is after two coats of varnish and I wouldn't say it looked like it left a gel finish. Overall, although I'm not in love with this colour, I am in love with this brand and I look forward in buying more in the future. Do you own any nail varnishes from this collection? What brand would you recommend?